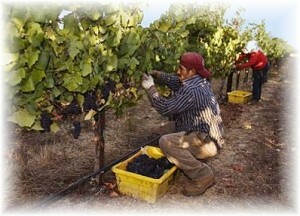 Section 8 CFR §214.2(h) (5) (i) governs the admission of H-2A temporary or seasonal, agricultural workers. In addition, Section 20 CFR, Part 655, contains extensive regulations from the Department of Labor governing admission of temporary, agricultural workers. Section 22 CFR § 41.53 and additional clarifications stated in 9 U.S. Department of State, Foreign Affairs Manual, supplement the rules for the admission of temporary, agricultural workers to the United States. To receive an H-2B temporary nonagricultural worker visa, the petitioning employer must demonstrate that the job itself and the employer’s need for the specific beneficiary are temporary. Section 8 CFR § 214.2(h) (6) (i) states that an “H-2B nonagricultural temporary worker is an alien who is coming temporarily to the United States to perform temporary services or labor, is not displacing U.S. workers capable of performing such services or labor, and who is capable of performing such services or labor, and whose employment is not adversely affecting the wages and working conditions of U.S. workers.” Section 8 CFR § 214.2(h)(6)(ii) (A) defines temporary services as “any job in which the petitioner’s need for the duties to be performed by the employee is temporary, whether or not the underlying job can be described as permanent or temporary.” The petitioner’s need (which must generally be one year or less) can be a one-time occurrence, seasonal, peak load or intermittent. One-time Occurrence. Pursuant to 8 CFR § 214.2(h) (6) (ii) (B) (1), the employer needs to show that he has not employed, and will not need, workers, or has an employment situation that is otherwise permanent, but an event of short duration has created the need for a temporary worker. Seasonal Need. According to 8 CFR § 214.2(h)(6)(ii)(B)(2), the employer needs to show that the services or labor are traditionally tied to a season or by an event or pattern. An example of such a need is diving instructors hired for the summer. The employer must specify the period(s) of time during which he does not need the labor. USCIS does not consider employment to be seasonal if the period during which the labor is not needed is unpredictable, subject to change or considered vacation time for the petitioner’s employees. Peak-load Need. Pursuant to 8 CFR § 214.2(h) (6) (ii) (B) (3), the employer must show that he regularly employs permanent workers and needs to supplement them on a temporary basis due to seasonal or short-term demand. Additionally, the temporary additions to staff must not become a part of his regular operations. Intermittent Need. In accordance with to 8 CFR § 214.2(h) (6) (ii) (B) (4), the employer must show that he regularly hires permanent workers and needs to supplement his permanent staff on a temporary basis due to a seasonal or short-term demand. Additionally, the temporary additions to the staff will not become a part of the petitioner’s regular operations. Required Documentation. An employer first needs to obtain a temporary labor certification, Form ETA-750, from DoL, which allows him to hire temporary or seasonal workers. Before USCIS can approve a petition for such workers, the employer must file an application with DOL stating that there are not sufficient workers who are able, willing, qualified and available, and that the employment of foreign nationals will not adversely affect the wages and working conditions of similarly employed American workers. The petitioner may not appeal DOL’s denial of the certification. The employer shall file the certification and I-129 with USCIS. USCIS may, however, deny an H-2B visa petition even if there is a certification from DOL. Likewise, an H-2B petition can be granted despite a negative recommendation from DOL. a statement describing in detail the temporary situation or conditions that make it necessary to bring the beneficiary to the United States and whether the need is a one-time occurrence, seasonal, peak load or intermittent. If the need is seasonal, peak load or intermittent, the statement must indicate whether the situation or conditions are expected to be recurring. USCIS may grant two one-year extensions for to H-2B temporary workers. To this end, the petitioning employer must file a new I-129 and request another labor certification. If he dismisses without cause an H-2B beneficiary before the end of his approved stay, the employer must pay the transportation costs to return the worker to his home country. In order to receive USCIS’ approval, the employer must demonstrate that he will pay the H-2B worker the prevailing wage and provide conditions that are typical to workers similarly employed in the area of intended employment. In addition, the employer must show that there is no strike, lockout or work stoppage in the occupational classification at the place of employment. The employer must also demonstrate that it has complied with the recruitment requirements and will comply with all federal, state and local laws related to the job opportunity. If DOL selects an H-2B petition for audit, the employer must respond within thirty days of date of the notice. If DoL finds that an employer has misrepresented a material fact in the petition, it may disbar the employer from the H-2B program for a maximum of three years.